Oh I just realized this is the LAST ONE for the month of February. 1. This past Sunday was Forgiveness Sunday. My church always has a special vespers service. This is the service that liturgically ushers in lent even though the fast doesn't start until the next day. About half way through the service the altar cloths , vestments and candle holders are changed from gold to purple. 2. Forgiveness Sunday is the liturgical anniversary of my reception into the Orthodox Church. My whole family was chrismated together. It’s been five years. It’s been wonderful. 3. My first review of the 2015 Review Crew year posted earlier this week. Did you catch it? If you love history especially Scottish history you may want to check out my review of In Freedom's Cause by Heirloom Audio Productions. 4. Did you see my post Introducing Catherine’s Pascha? This is a lovely book written by my good friend (a REAL friend, not just an e-maginary friend who lives in my computer) Charlotte Riggle. You can also read Tailorbear’s thoughts about the book. 5. How do you know it is Lent at my house? We eat soup two to three times a week instead of once or twice a month. Variations of vegan vegetable soup. No pictures of this weeks soups but the first was one Garden Vegetable Soup from Build A Menu. It was tomato based with broccoli and cauliflower. Wednesday was my mock beef vegetable soup. Vegetable Better-than Bouillon plus some soy sauce gives almost the flavor of beef. Add in some mushrooms, carrots, celery, onions, tomatoes and cabbage it you could almost fool yourself into thinking you’re eating vegetable beef soup. I’ve been very quiet on my blog lately. I’ve got several post ideas and lots of rough drafts started but I’ve found it difficult to make the the time and sit down and blog as frequently as I would like. It’s a simple reason: I’m consumed with health and nutrition. My health has been slowly declining over time but I’ve ignored it. I thought if I pretend the symptoms aren’t there then I could pretend I wasn’t really facing major health issues. I’ve been lying to myself. It was ok. It was just me. It was just my health. Not the health of my husband or my children. Sure we’ve been dealing for 17 1/2 years with a family member with chronic illness and a life-threatening cardiac condition. She pretty much came that way so I think I just accepted that this what it is. Yes in some respects the journey to thinking about the connection between what we eat, nutrition and health began with understanding that this little bundle has an immune system that doesn’t quite work like the rest of us. Bacteria? No problem. Bring it on. She’s as strong (or as weak) as anybody else when it comes to bacterial infections but a virus? Well, that’s when we get to witness how ineffective her immune system really is but that is really a separate topic. We started following a more whole foods/real foods approach when I was pregnant with Tailorbear. We switched to whole grains and brown rice. I eliminated lot of the processed food and I switched over to using cane juice crystals and honey instead of sugar. We still ate junk but not as much. Then circumstances changed and I started allowing more and more processed foods into our diet. Finances changed and I stopped buying the more expensive higher quality whole foods. It didn’t seem like such a bad thing then but looking back it wasn’t such a good thing either. In June 2013 our world was rocked when Honeybear had a mild heart attack. We got more serious about our health and started baby stepping our way back to a better more whole food, real food approach. We started canning our own food. We shopped at the Farmer’s Market for better produce. We still ate way too much processed junk though. In March 2014 I crossed from pre-diabetic to diabetic but I buried my head in the sand. I made a few changes but nothing major and most of the time I was in denial. In November of 2014 I could not deny it anymore. I am sick of living in pain. Sick of having no energy. Sick of feeling yucky and I had to face the reality that I am diabetic. I knew I had to make serious changes to the way I ate but it was the week of Thanksgiving! I did though make some baby steps and managed to make it through the weekend. But but but our world rocked again. Honeybear had some blood drawn for a regular follow up cardiology appointment. His blood sugar was high. We tested it with my brand new meter on Saturday after Thanksgiving and it was a whopping 268! He called the doctor on Monday and came home with his own diabetes diagnosis and his own matching glucose meter. His and Hers the doctor said. So I’ve been spending my days trying to understand all the little things that affect blood sugar. I’ve become quite good at pricking my finger. Honeybear has gotten good at pricking his finger. At least neither of us are on insulin. Since that Monday that Honeybear learned he had uncontrolled diabetes we’ve made huge changes in our diets. We still have more that we will be making as we learn more. There’s still too much junk and processed food in the girls’ diet but that is slowly changing as well. I plan to blog about our changes and about what I’m learning. We’re following the basic premise of Trim Healthy Mama along with some Paleo Diet principles so watch for blog posts with more of a health focus. 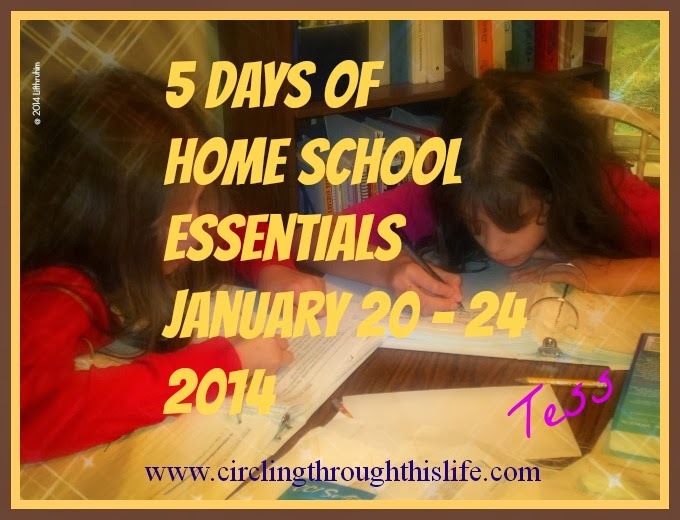 I’ll still be blogging about other areas of our life and faith and homeschooling. I will still be blogging reviews but I am obsessed with understanding our new diagnoses. Somehow I have lost track of time. I just realized this morning that this Saturday is the 14th of February. Say what?!! Valentine’s Day. Or Chrismation Anniversary as we think of it now. 5 years ago Valentine’s Day fell on Forgiveness Sunday, the day before Great Lent started. Pascha is a week later this year than that year so Forgiveness Sunday is next week. But but but but that means that this Sunday, the day after Valentine's Day is Meatfare Sunday. Meatfare Sunday is the last day that meat like beef, chicken, pork, and lamb, or really anything other than fish or shellfish, is eaten until Pascha. I made Salisbury Steak the other night. I’m making something with hamburger tomorrow night, maybe stuffed cabbage rolls. We tried a roast recipe from Build a Menu a few weeks ago. It calls for a beef chuck roast but I used a pork tenderloin roast. We loved it so much that I am making that same roast again. It’s not the healthiest of roasts with a packet of au jus and a packet of dry ranch seasoning but oh my. It was delicious and the perfect meaty meal for Meatfare. I bet you’re wondering about bacon. I did mention bacon. I love bacon. Great Lent means no bacon. I made bacon Monday morning for breakfast. Bacon and fried eggs for breakfast and left over bacon on my chicken club sandwich (served on lower carb flat bread thing) for lunch. I made bacon again on Tuesday morning. Bacon and scrambled eggs for breakfast. Saving the leftover bacon for another chicken club sandwich on Thursday. That leaves two more pounds of bacon in my freezer. Saturday morning will be the last full meaty breakfast. I’ll cook up both one pound packages of bacon and maybe I’ll make biscuits and gravy or maybe I’ll do up scrambled egg sandwiches. Or or or maybe I’ll just be a piggy and eat all the bacon myself. I don’t think my family would like that very much. All I know is that this is the week to eat bacon. And more bacon and then even more bacon. Then maybe, just maybe I’ll be sick of it and not want to eat any bacon until Pascha. I can hope, right? Catherine's Pascha is a wonderful new children's book written by Charlotte Riggle and Illustrated R.J. Huges. I had the pleasure of reading it aloud to a child I was babysitting while her mother and brother baked cookies with Mrs. Riggle. The story was sweet and enjoyable. I love how Catherine seems so very eager to stay awake for the service and how she and her best friend Elizabeth are allowed to sit next to each other. I love how the service is very accurate! I loved how things were described and even though there were words I couldn't pronounce it was still really easy to understand! I think it showed a lot about culture as well. I also love how realistic the attitudes of everyone are. They are all happy, just as they should be on Pascha! The illustrations were also very good! They were lovely to look at and helped present the story in a very good way. One of the things I especially loved how the illustrations told part of the story like when the parents and grandparents were talking about whether or not the kids would stay awake for the whole service. I liked the details of the illustrations. The book held my attention. It wasn’t too babyish for older kids like me to enjoy. It was a very pleasant read. Although there were some words I couldn't pronounce, as they were Russian and Greek.The plot was easy to follow as well! It was quiet simply the story of Catherine, her family, and her best friend Elizabeth, and how their Pascha goes pretty much every year. I loved the subtle humor in the book as Catherine says: “i wasn't sleeping! I was just resting my eyes!” It truly shows the excitement of the younger kids for Pascha! Over all I really enjoyed this book. I found the story very charming and wish that it had been around when I was younger! I would love to have this book to take along with me when I babysit! I enjoy babysitting, and good books are always good, fun, and help with babysitting! Visit Catherine’s Pascha on Facebook or check out the Catherine’s Pascha Website! Tailorbear is a 15 year old Orthodox Christian convert. She experienced her first Pascha when she was 11 years old. She loves books, children and her church. When not attending church, babysitting or reading, she can found be drawing or playing video games.